Home » Business » KIN. In 1939, two young men walked away from freshly plowed fields to enjoy a weekend in the Abajo Mountains in Southeast Utah. Looking across high wooded plateaus and red colored labyrinths to the west, a wanderlust to chart the unexplored moved them to walk away from the day to day grind. Sweat from labour soon turned to sweat from joyous exertion. By foot and handmade boat these young men traversed the land of the ancients, a land carved and formed by the movement of geologic ages past, a land previously known only to a vanished, and at times, banished people. Several hundred miles and four weeks later they returned from their wanderings. The mountains, deep canyons, and high desert plateaus they traveled remained indelibly engraved upon their hearts and minds and the call to explore hence bid them return time and time again. These two men were Ruel Randall, Dustin’s grandfather, and Kent Frost, a renowned explorer and recreation advocate in San Juan County, UT. 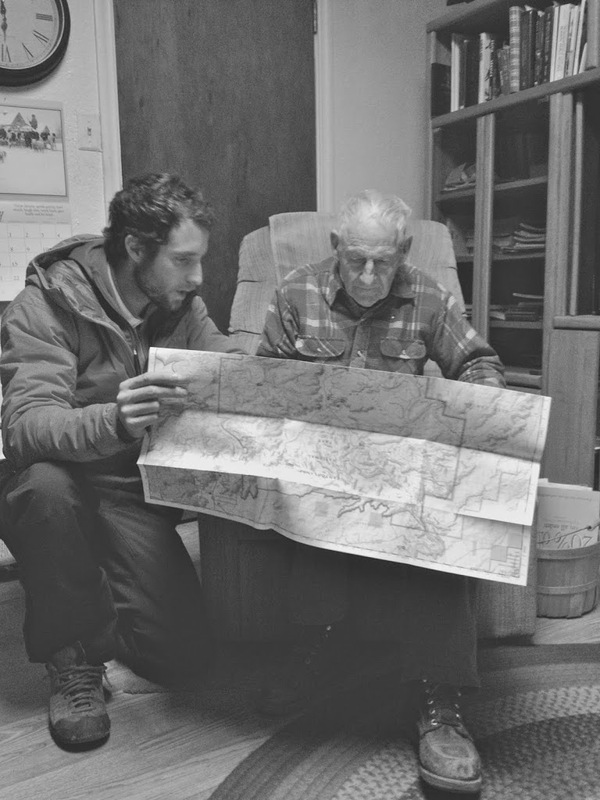 Their backcountry forays are inspirational, they often left with only a single knapsack to roam and live off the land for weeks; true human powered adventure.